Luxury vehicles can also perform like sports cars—just ask the 2017 Jaguar XF. With multiple engine options, a perfectly balanced exterior frame, and the best control technology available today, drivers will appreciate the performance features this model offers. The 2017 Jaguar XF boasts multiple engine options, so Colts Neck drivers can experience the power and performance they crave while on the road. For starters, you can pick the 3.0L V6 engine that’s available in either 340 hp or 380 hp. This way, you can receive the power and torque that best matches your driving style. For those drivers looking for something else, the XF now offers a diesel engine. This 2.0L four-cylinder turbocharged diesel engine will generate 180 hp, giving you a thrill that also includes diesel benefits. Vehicles that can seamlessly maneuver through the roads have one thing in common: a perfectly styled body. 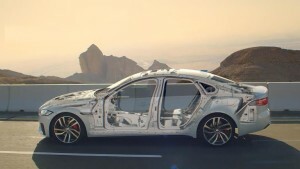 The Jaguar XF boasts a lightweight aluminum frame that is perfectly designed to move with the wind, not against it. This way, you feel weightless as you travel through the Holmdel roads, and you’ll also notice better fuel efficiency too. Regardless of where the Rumson road takes you, drivers want to be sure they have complete control. The Jaguar XF comes standard with All Surface Progress Control, which helps you safely navigate the roads, no matter the terrain or weather condition. IN addition, the Adaptive Dynamics found on this new model will also help ensure you experience a smooth ride, no matter how bumpy or uneven the road may be. Throw in a perfectly crafted and innovative suspension, and you’ll know this will be a very enjoyable ride for you and all your passengers. The 2017 Jaguar XF is a great vehicle choice for drivers looking for power and performance. This model expertly pairs engine technology, architecture, and control features to create the best in performance. 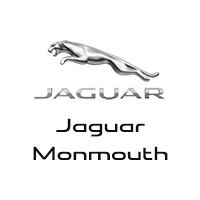 Visit Jaguar Monmouth today at 807 NJ-35 in Oceans Township to see our inventory. You can also contact us online or call us at (877) 672-8680 to learn more or apply for financing.